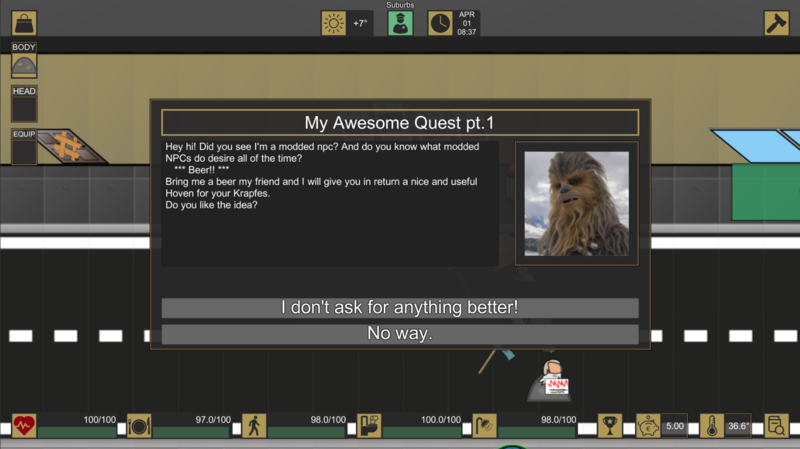 In the last tutorial we created a brand new quest for our modded NPC, now we will create the actual localized entries for the text of the dialogues and the buttons. Ready? 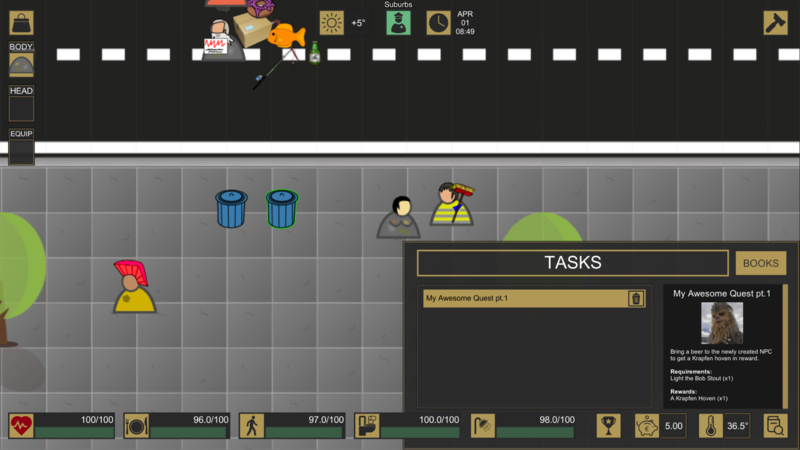 "value": "My Awesome Quest pt.1"
"value": "Bring a beer to the newly created NPC to get a Krapfen hoven in reward." "value": "Hey hi! 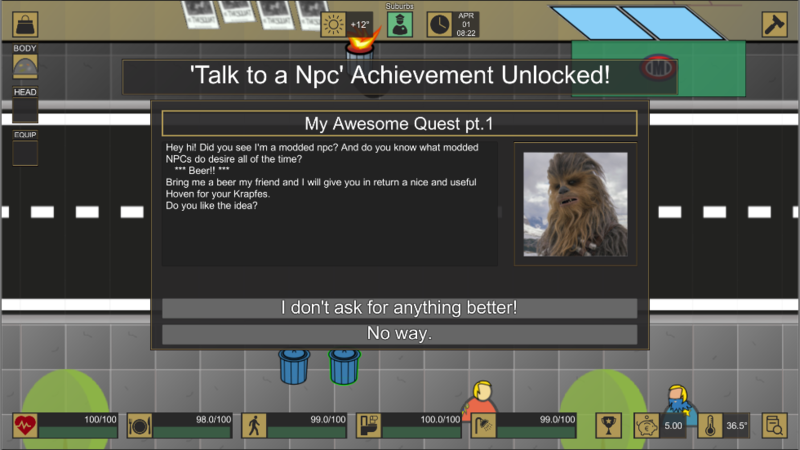 Did you see I'm a modded npc? 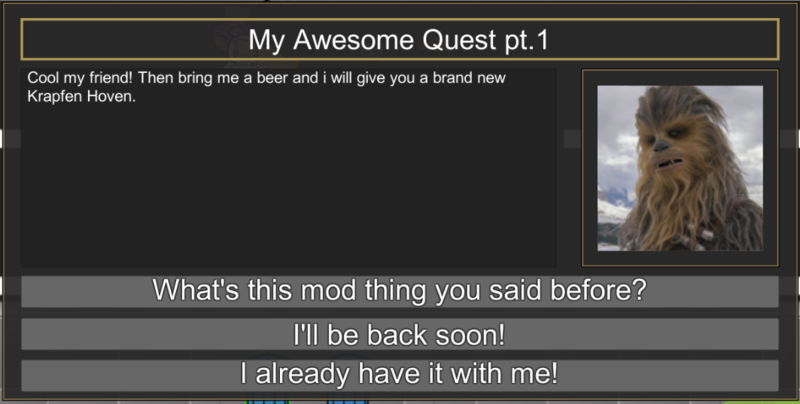 And do you know what modded NPCs do desire all of the time?\n   *** Beer!! *** \nBring me a beer my friend and I will give you in return a nice and useful Hoven for your Krapfes.\nDo you like the idea?" "value": "I don't ask for anything better!" Now the structure of this file should be already familiar to you: it's just a standard Hatd Times lang file. Just lets note some things. "value": "Cool my friend! Then bring me a beer and i will give you a brand new Krapfen Hoven." "value": "What's this mod thing you said before?" "value": "I'll be back soon!" "value": "I already have it with me!" "value": "Super cool! Here is your reward. Happy Krapfens!" "value": "Not fair! Not cool! You didn't follow the modding guide on the Hard Times official wiki?" "value": "I just wanted to check if you were focused." "value": "Yeah, minimodding, datadriven, do you understand the lingo? Are you lingo boys?" "value": "I think you're mad, mate." Our guy will have a fully fetured task to give us, so we can go on and try to solve it!